Romeo Akbar Walter held on well during the weekdays that allowed the collections to go past the 30 crores mark. The Monday drop had given an indication of further fall but thankfully that was not the case with the John Abraham starrer. As a result, the film now stands at 33 crores. 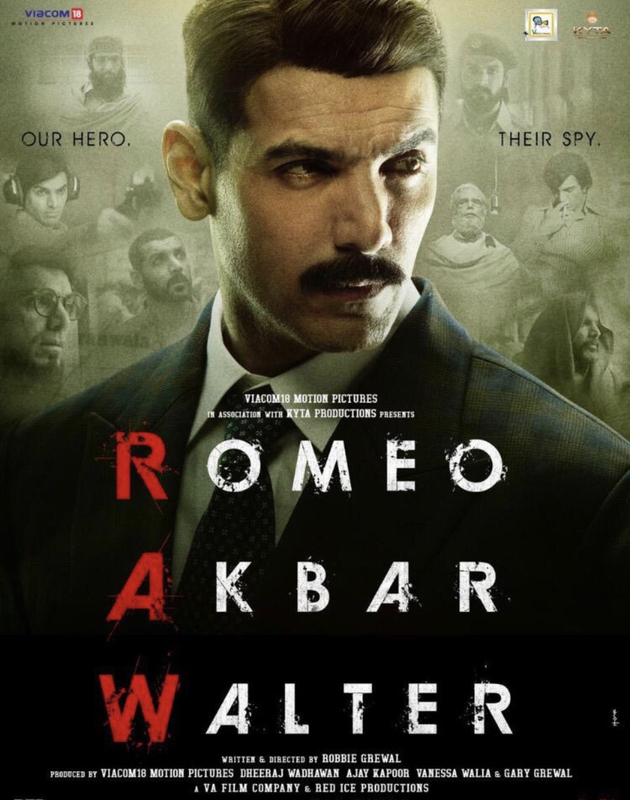 If one leaves aside Satyameva Jayate, which was an out and out massy film and in a different zone altogether, first week collections of Romeo Akbar Walter are in the same range as other John Abraham starrers like Parmanu – The Story of Pokharan (35.41 crores) and Madras Cafe (33.81 crores). They are better than Force 2 (30 crores) though. The Robbie Grewal directed film would have a better lifetime than Madras Cafe and could well stretch towards the 45 crores mark, which would make it a coverage affair. As for Kesari, it has now touched 147 crores after having a stable week at the Box Office. The film has an open weekend ahead and that could well help it go past the 150 crores mark soon. Post that whatever numbers come in could well be an added bonus. For Akshay Kumar, the film is a solid Hit and the lifetime would be in 152-153 crores range.